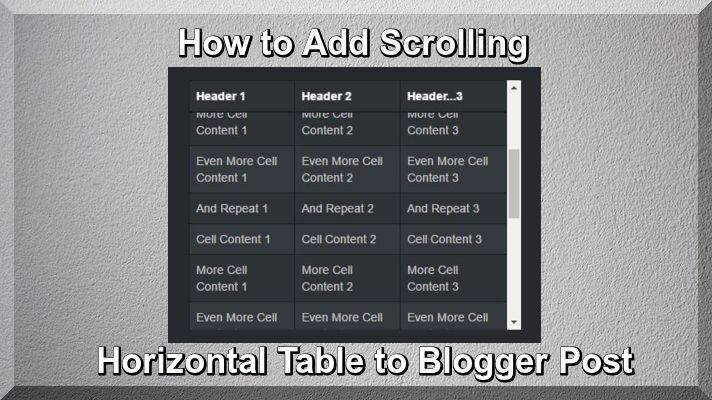 By this useful Article I guide you that how to add horizontal scrolling table to blogger post. You are a genuine blogger and need to demonstrate your substance as an expert blogger then perhaps you have to include table in blogger post, If you want to add some things in Blogger table and want to save your blogger post space, it is simple to add scrolling table to blogger post. Now I show the following scrolling table code copy and paste it any place of your blogger post and use it and write some thing if you want to add in the table and replace "write some thing here" and also replace your Table heading. This tutorial is very useful to add scrolling table in blogger it is better SEO help for blogger and you can save your blogger post. If you like this article please leave you comments, and this post will be more beneficial for you.